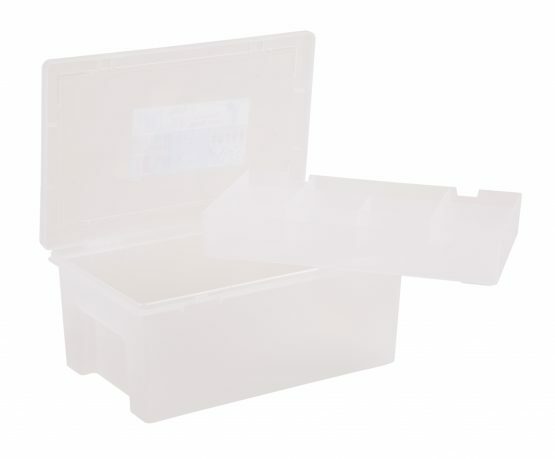 Deep organiser storage box with removeable 8 compartment tray. Secure lid and integral dividers ensure contents stay where they should. Hardwearing and durable. Ideal for crafts, diy and hobbies.